I love fresh figs, but they are seasonal and hard to come by. 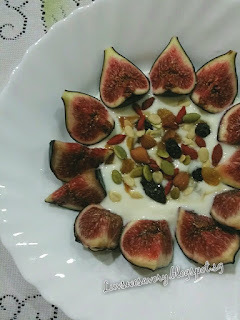 Shared previous Fig Salad with Walnuts and Mint. So I'll surely pick up a pack whenever I could spot them in the supermarket ... even if it's pretty costly. 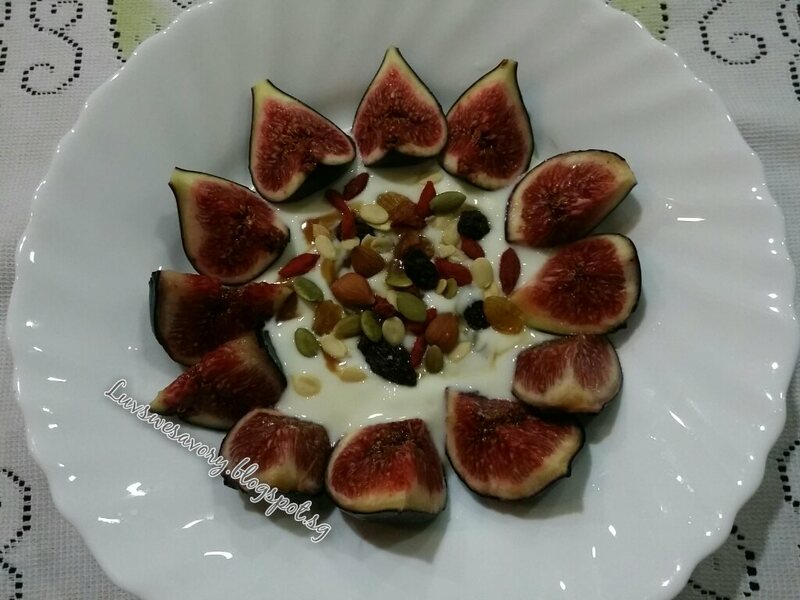 I prefer to enjoy fresh figs in the freshest way like making salads or desserts instead of cooking the figs. 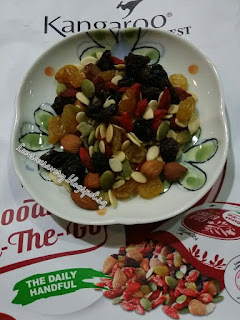 Bought these healthy snacks ... Goji berry nuts mix but my big kids don't fancy them. 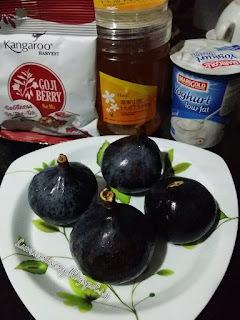 My big boy even critically commented that "Mum, these weird looking nuts look like hamster food to me ..."
Wash the figs clean , remove the stems and cut into quarters or slices if you like. Arrange them on a serving plate. Dollop spoonfuls of yoghurt and drizzle a tablespoon of honey. 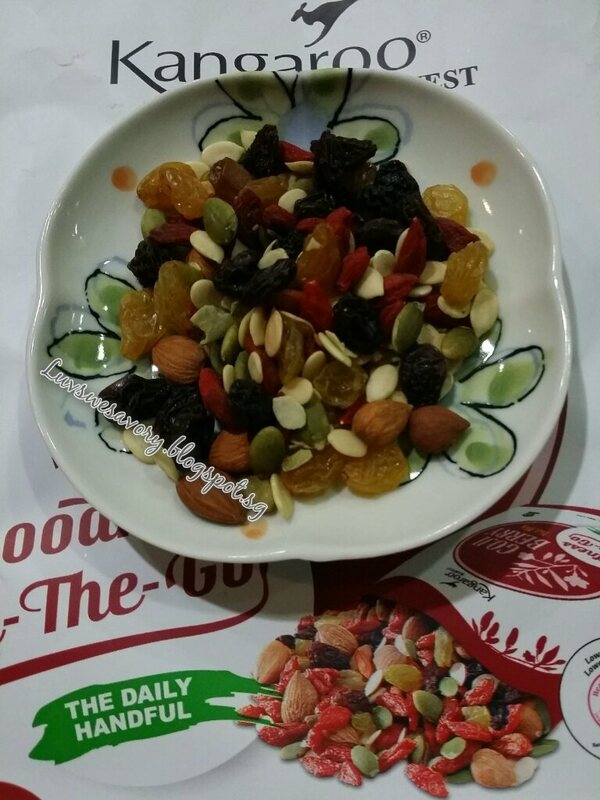 Lastly, sprinkle the Goji berry nuts mix (or any dried nuts & dried berries of your preference). Love the natural sweetness of fresh figs. With the addition of crunchy nuts, yoghurt and honey, tasted so delicious and satisfying, especially served as dessert after meal. Love it more that this involves very little time and only just a few steps of preparation. My big boy liked it so much that he has forgotten about the "hamster food" ... hee... hee! Enjoy! Have a wonderful weekend! 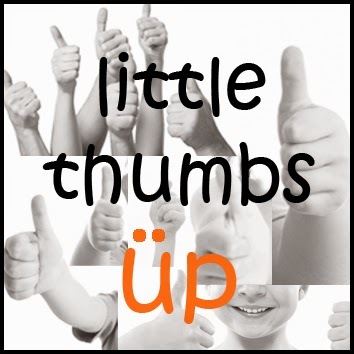 Submitting this post to Little Thumbs Up March 2016 Theme Honey which is organised by Zoe from Bake for Happy Kids and Doreen from My Little Favourite DIY, and hosted by Joycescapade. Hi Karen, Happy Sunday! Your fig salad looks pretty and healthy. Love it!! You're welcome and thanks for your compliment Joyce ^-^! Hi Karen, your desserts look so healthy and the figs look good! Yummy and healthy salad! I would love to eat the fresh fig on its own. Hi Karen! I have never seen fresh figs hah..hah... I love the dried ones though. I like the dried ones too but have shifted my taste buds to enjoy fresh ones more. .. hee..hee! 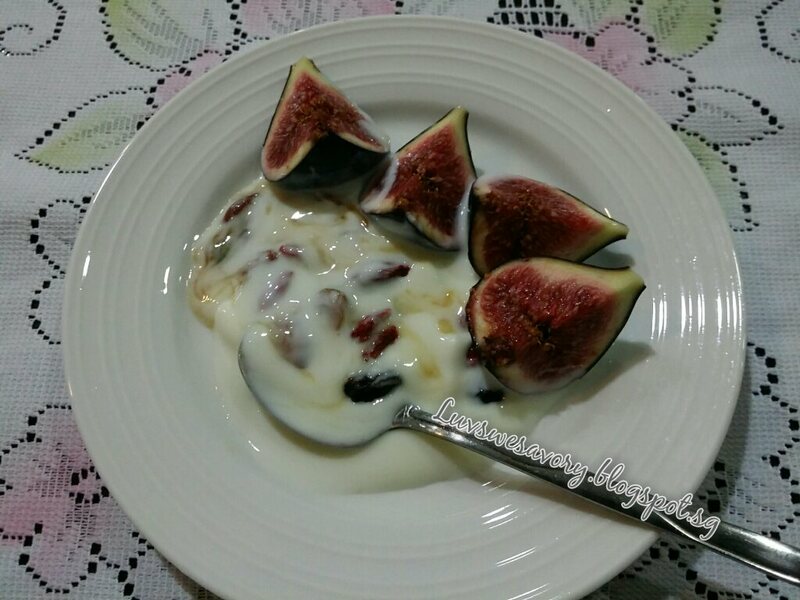 Hi Karen, I love fresh figs, this is an amazing combination, I know I would love this. Have a great week. This looks amazing, Karen. I'm dying for a taste! I've never had fresh figs - am going to be on the lookout now. At first I thought the texture would be sandy becos of the seeds but soft like peaches. Give it a try if you find them. 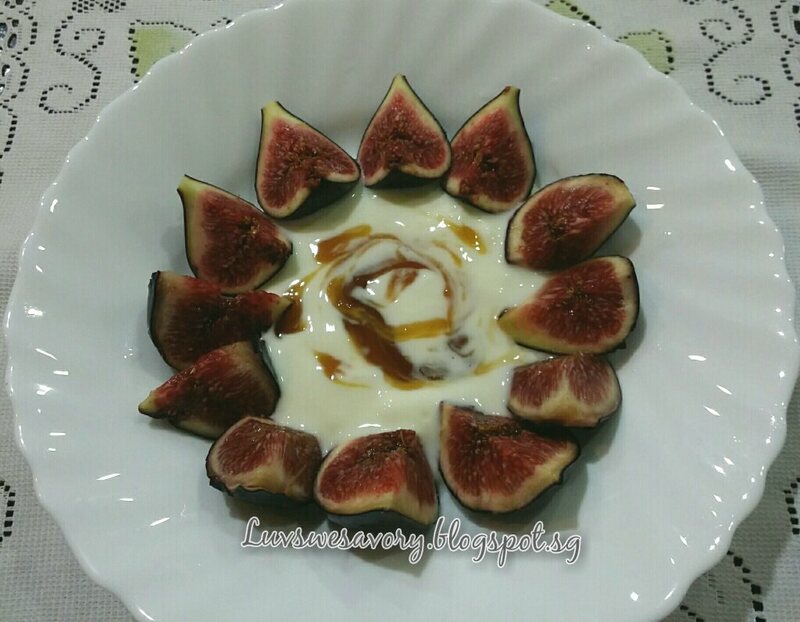 Figs are in season in Aus and you are right that they are so good with honey and yogurt.